When we search on Google, we found that "DJI 4K vdieo don't play on VLC" would be a common problem. Even quite powerful i7 SSD PC don't play DJI Inspire / Phantom 4K 100Mbps bitrate video properly. A practicable way is to slow speed to 0.67, Media Player Classic (k-lite codecs) runs and play those 4k footage smoothly. However, for VLC fans, they give up this way. Why VLC Can't Play DJI 4K Footage? In fact, the 4K video playback including DJI 4K recordings with VLC has strict requirements on the computer's processor and graphics chip. Sometimes, even if your computer meets the requirements, you may find that DJI 4K video plays back choppy. This is due to the immense processing power required to play 4K. You can try the below 3 methods to handle the problems. Note: Although version 2.2.6 of VLC offers 4K playback support, it still does not support 4K video from DJI Phantom 4 playback perfectly: there is stutters, not showing audio, etc issues. 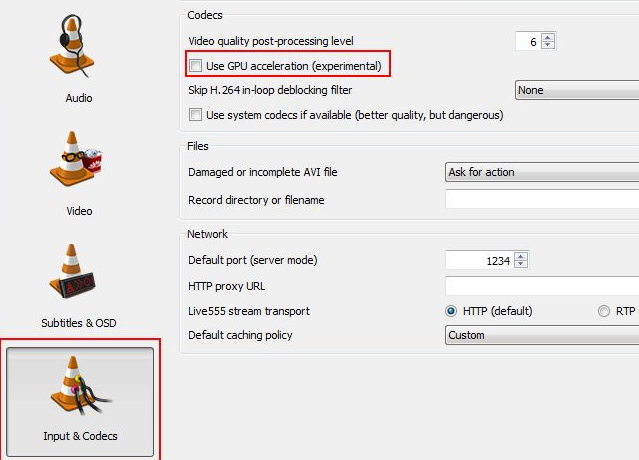 However, according to VLC's GPU decoding page, this feature is only available for H.264 streams. In addition, as the data is decoded in the GPU at the decoding stage and then transferred back to the player so that the other stages, filtering and streaming for instance, can be processed, this process can under under circumstances be slower than without GPU acceleration enabled. What's more, the VLC GPU decoding is only available for select operating systems. While Windows Vista and newer versions of the Microsoft operating system are supported, Windows XP is not at this point in time. The majority of graphic cards should support hardware acceleration just fine. Make sure you have installed the latest drivers though. How to enable hardware acceleration in VLC? 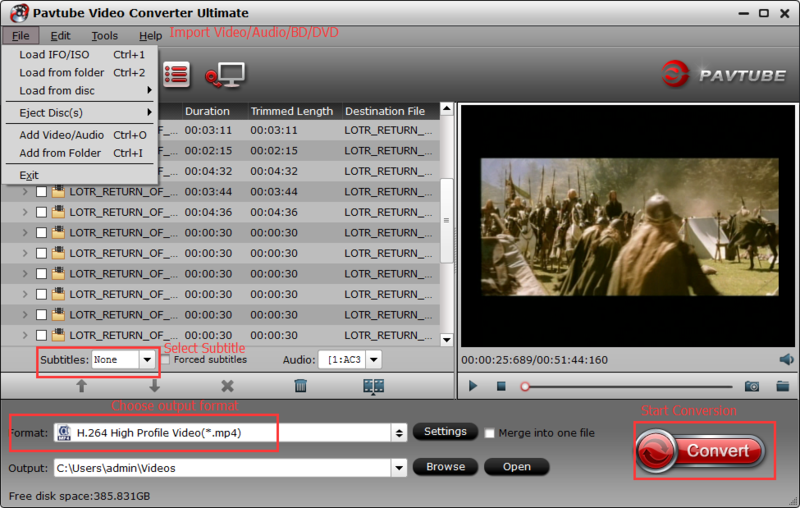 Click on the save button afterwards and restart the media player to work with the new setting. Try playing several video files to see if hardware acceleration makes a difference in terms of playback. If it does, keep the setting enabled. If it does not, just go back to the settings to uncheck the option again. To get a better virtual experience, you can edit video with this smart assistant. 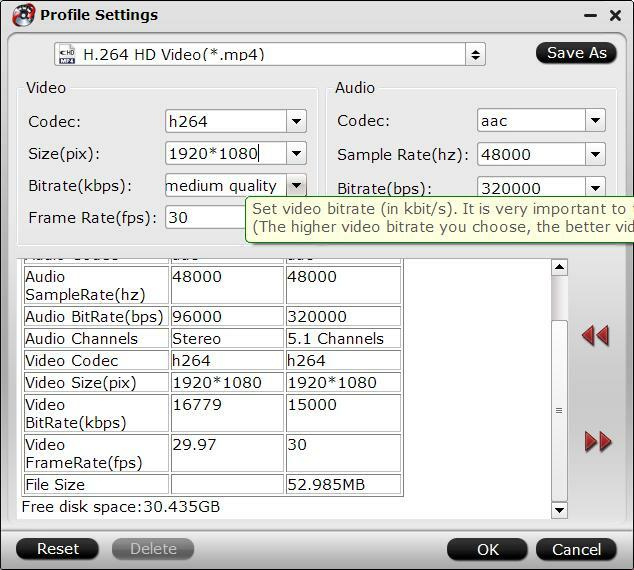 You can flexible to adjust vdieo parameters, including video and audio bitrate, frame rate, resolution, channel and more. With it, you can merge separate video clips into one, insert external subtitles to video, add transparent text watermark/image watermark to video, crop black bars around the video frame, adjust video color brightness, remove audio from a video or replace audio in video, trim video footage, crop unwanted area from video, etc. More funtions here. Open the 4K video converter program, click “File” menu, from its drop-down option, select “Add Video/Audio” to load DJI 4K video to the program. If you have Blu-ray and DVD that want to playback on VLC, you also can load them to rip to VLC. From “Format” bar drop-down list, choose the formats that you want to output for later use. For compatibility consideration, it is idea for you to choose “HD Video” > “H.264 HD Video (*.mp4)” as output file format. Open “Profile Settings” window, click “Size(pix)” to select 1920*1080 as the final resolution for output video. In this way, the DJI 4K video can be downscaled to 1080p then you can play it with VLC smoothly. After all the settings is completed, hit right-bottom “Convert” button to start to convert and downscale DJI 4K video to 1080p format videos. 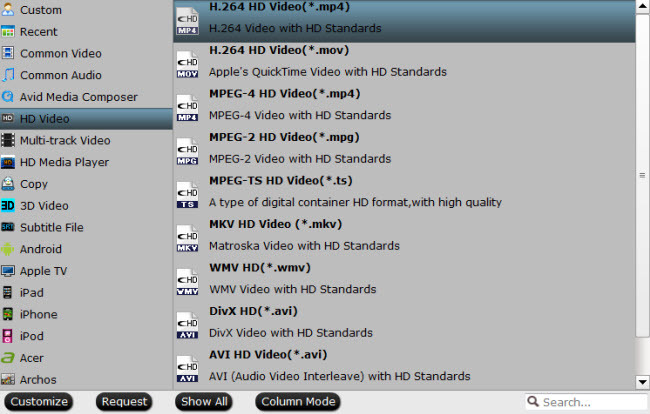 When the conversion is finished, click “Open Output Folder” icon on the main interface to open the folder with generated HD DJI video files. Now, try to play DJI video files with VLC on your computer. It should be smooth now. VLC 2.0 Won't Ripping Commercial DVD Movies on Mac, Fixed! How to Fix VLC Won't Open ISO Files Issues?